Home Tags Posts tagged with "sunglasses"
If you’re headed off to college for the first time this fall, you’ve probably got a LOT on your mind. After all, this is an exciting milestone for you! You may be wondering: what will it be like living away from home? Will I like my dorm room? Will my roommate be cool, totally crazy…or maybe a little bit of both? And more importantly, do I have all the STUFF I need to succeed? In this time of transition and anticipation, the experts at eBags would love to help you be as prepared as possible for this awesome new chapter of your life — with a carefully curated list of campus-approved products to start your year off right! If you spent high school studying at home or in your school library, you may be in for a shock when you hit your college campus — the halls of higher education can be a very noisy place. For those times when you can’t get to the library and want to study in your room or a local coffee shop, it can be helpful to have some chill-out tunes to block out the espresso machine or your roommate’s Kendrick Lamar obsession. This painterly pair of foldable, wireless headphones automatically connects to the last paired device, with a Bluetooth range of up to 30 feet. They offer 10 hours of playtime and work for phone calls too! What’s the most consistent thing about college? How inconsistent your days will be! Along with your parents and your pooch, you’re leaving behind the pleasantly predictable schedules of high school and home living — so you’d better have some pretty flexible gear. We love the Herschel Little America Laptop Backpack for a combination of its vintage-ie good looks and crazy-huge cargo space. Slip your laptop into the fleece-lined tech sleeve and your phone into the small media pocket, then use the roomy main compartment for anything you want: gym clothes, a picnic lunch, your science supplies…whatever else you carry! You don’t have to be a senior or a sorority girl to step onto campus in style. Start the year with a sassy statement tote from Manhattan tastemaker Kate Spade — sure, a backpack *may* be easier on your spine, but to be honest, nothing says “talk to me” like a punchy carryall that says HELLO on the side. Extra bonus points for durable double-faced leather in a bright watermelon hue, a sleek interior pocket for your phone, keys and a removable parrot charm that can double as a coordinating keychain. Don’t tell your mom or your RA we told you this — but, there’s a chance you *might* not be studying 24 hours a day. Whether you’re taking a quick break from the books, spending the weekend at your roomie’s house or setting up for a record-setting rager, you’re gonna need a portable, affordable way to drop the beats. This small-but-mighty wireless, Bluetooth speaker delivers crystal-clear sound even at high volume, with eight full hours of dance time and a range of more than 30 feet. Whether you’re holed up in the library or headed to the pool, you’ll probably have multiple devices on board — and you don’t want to run out of juice during the last few moments of that OITNB cliffhanger…er…important history assignment. This super slim little battery pack will make sure you’re empowered to keep studying (or recreating), even when you’re miles from a power source. Speaking of studying, some days — even if you have the perfect bag — you’re just not up for toting around your heavy laptop. So lighten your load with this smart Samsung Galaxy Tablet. With both front and rear cameras, 16gb of built-in memory and 1.5gb of ram, it’s the perfect solution for times when your pack is full of other stuff, but you still need the option to take notes or record your professor’s lectures. Trust us — you ARE going to forget your watch. So why not keep this sturdy little sidekick permanently clipped to your pack? A durable, water-resistant metal housing with a built-in carabiner clip means it attaches easily, stays put, and can weather the elements; a compass clip, a luminescent dial, and an ultra-bright LED microlight to keep you punctual and protected during nighttime campus excursions. ICYMI: last year, San Francisco officials banned the sale of plastic water bottles within city limits. You have to admit, that’s a pretty bold statement to make — and even if you’re not attending college in the City by the Bay, it’s not a bad act to follow. This 16-ounce, BPA-free, reusable glass bottle has a leak-proof active cap, a wide mouth for easily adding ice cubes and a protective silicone sleeve that looks both cool AND keeps it from shattering inside your backpack. Win-win-win! We both know you’re not going to college to look cool — you’re a serious scholar and you’ve got big plans for the future! But that doesn’t mean you can’t showcase your personal style between classes. And, even though we’re hard-pressed to think of ways to make a golden-lensed unisex aviator even hipper, the folks over at Earth Wood have found one: make them out of REAL WOOD. Optical-quality polarized lenses with 100% UVA/UVB protection keep harmful rays at bay while you bask in the glow. Forget your contacts and photos — you’d be LOST without SnapChat and Instagram! Make sure a dropped phone doesn’t monkey-wrench your ever-dwindling social time with this eco-friendly (bamboo) and invincible (Kevlar) phone case. Added bonus: it’s as eye-catching as your new aviators, so once you’ve been spotted on campus a few times with your matching wooden accessories, your friends will know who they belong to…even if you forget to install the Find my iPhone app. 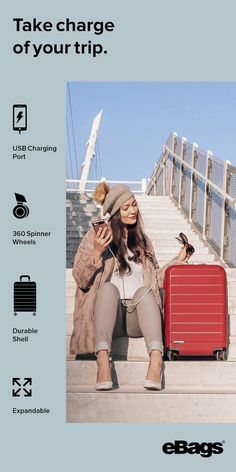 Moveable shelves, double/single cavity conversion, long handles, an add-a-bag strap, expandability, compression straps, TONS of zippered pockets, a flexible bottom compartment, an innovative backbone for rigidity, and so much more — and that’s JUST the hero of this essential five-piece value luggage set! 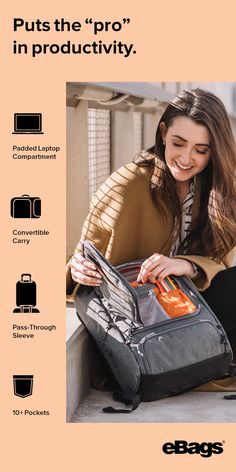 You’ll get the TLS Mini 21” Wheeled Duffel, a TLS Companion Duffel and a set of three Packing Cubes…basically, everything you’ll need for ANYWHERE your college adventures will take you. 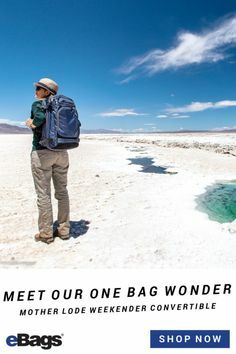 While pursuing her graduate degree in Creative Writing at CU Boulder, Staci took a part-time job crafting trip itineraries for an extreme travel company—and so embarked upon an adventure that continues to this day. In the ensuing two decades, her passion for journey and destination alike took her everywhere from the Far East (backpacking in Cambodia) to the Wild West (wrangling horses in Colorado). Work and family permitting, Staci is devoted to her ongoing quest to find the perfect taco and the perfect point break. Fair warning: if she finds them in the same place, she’s probably not coming back. Ever feel like you need a six-month vacation, twice a year? Some downtime to rejuvenate your body and soul? Perhaps some time to finally learn yoga, knitting, or simply unwind by laughing with lifelong friends? While most of us aren’t lucky enough to take a year-long sabbatical, there are some special places on Earth that make you feel ten years younger in a span of ten days. Bali, Indonesia, is a sacred spot. There are miles of white-sand beaches and dense jungles hiding Hindu Pagodas. Bali oozes spirituality in several forms and has become a hot spot for yoga, meditation, religious and wellness retreats. These retreats can be anywhere from one day to three weeks. Travelers have an opportunity to truly immerse in Balinese culture by disconnecting from their work worries and adopting new ways of thinking. Here’s how! To reap the benefits of controlled breathing and beach time, consider spending part of your trip at a retreat, and the rest chilling at the beach. If you like shopping and white sand, head to Seminyak. If you want a more secluded relaxation, head to Gili Air or Lombok. If you like surfing, head to Uluwatu. And if you enjoy scoping surfer eye-candy, grab a drink on the deck of Ulutwatu’s famous “Single Fin” restaurant. Most retreats are held in Ubud, Bali’s spiritual and yoga capital, made famous by Eat Pray Love. Ubud is one hour from a beach, surrounded by forests filled with monkeys and temples. And bikinis aren’t exactly temple friendly. This could sound like a packing dilemma, having to squeeze in clothing for two ecosystems. Do not panic. Put down the khaki, convertible zip-off-pants. Put away the space-saver vacuum storage bags. Put down everything. The key is to pack light. 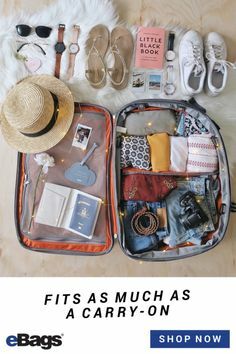 The less you pack, the more you get to shop. Bali has incredible shopping, as fashion-forward Aussies have opened heaps of boutiques with Southeast Asian pricing. You can buy everything in Bali- trendy clothes, yoga apparel, souvenirs, sarongs, and the world’s most fabulous swimsuits. Furthermore, laundry is cheap! For only $1 per kilogram, the local women will wash, dry, fold, and spray your laundry with an addicting “Spring Fresh” fragrance. 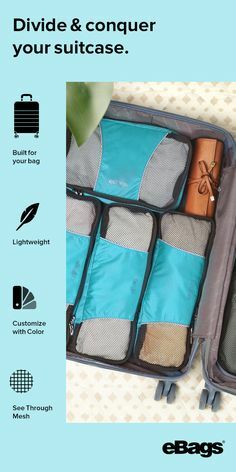 You want to pack items that will enable you to travel around Bali with ease. Bring a few staples and gadgets in a backpack, with empty space for keepsakes purchased in Bali. 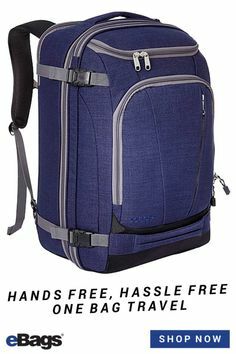 If you want maximum space and organization, try the TLS Motherlode Weekend Convertible Backpack. 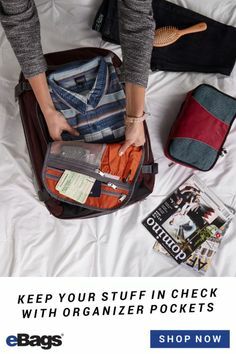 A backpack is a must for bumpy roads and uncertainty, and its carry-on size will save you from baggage fees. A collapsible tote bag is perfect for packing in your backpack and then using to go to yoga class, around town, to the beach, or to take bulky souvenirs home. We love the durable Oilily Folding Shopper, whose slightly psychedelic flower pattern reflects all aspects of Bali. Sunnies are a must-have in equatorial Bali. Bring a chic pair of shades so you can dress-up any local clothes. Even your outfit of elephant pants and Bintang Beer singlet can look fantastic if you own a pair of Elie Tahari Aviator Sunglasses. A breathable maxi dress is a Balinese essential and perfect for beaches, jungles, and warungs (Indonesia restaurants). The long length of a maxi dress means you can wear it running around temples, since most Hindu temples require women to wear a skirt longer than their knees. The Soybu Dhara Dress meets all of these desires, plus it’s breathable and wrinkle–resistant. 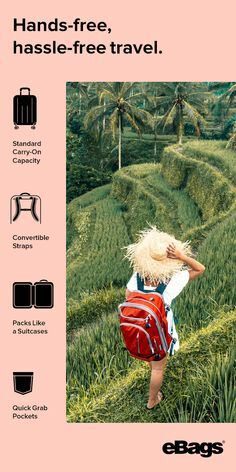 Ultra light packing cubes might be the lowest-tech “gadget” in the world, but after spending a month in Bali they were my favorite. They enable you to separate shirts, bottoms, souvenirs, dirty clothes, and undergarments. When you’re constantly on the move, sweating and repacking, these packing cubes restore sanity. A technological lifeline, also known as a mobile portable charger. The term “lifesaver” is usually an exaggeration, but getting lost in the Indonesian jungle with 2% battery and zero sunlight feels like a near-death experience. Spare yourself and your friendships by always carrying a backup battery so you can make emergency calls and access GPS. The slim Lifeboat Quick Charge Portable Battery enables you and a friend to get fully recharged, with hours of battery and two USB ports. Water-resistant headphones. Due to Bali’s heat and humidity, you will be sweaty 99.5% of the time. Toweling off after the shower or pool buys you 10 seconds of dryness per day, that’s it. Invest in sweat-resistant gear, like the Denon Exercise Freak Wireless Sweatproof Earbuds. These let you jam in any situation, even a surprise afternoon thunderstorm. Now, Bali is waiting with everything your heart desires. Take off and touch down in the land of good vibes. Check out our Bali Buying Guide on ebags.com for more select luggage and accessory picks!